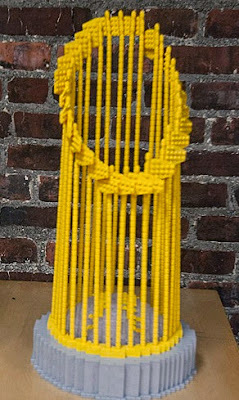 Before you go jumping off the Tobin Bridge because the Sox got swept by the Brewers, take a look at Fenway Park being constructed entirely out of Legos. The project took 28,000 Lego bricks and 450 hours from start to finish. The replica Fenway can be seen at the Legoland Discovery Center in Boston.